Yesterday we wrapped up talking about persistence in the 31 Days of Android. Today we’re talking about something that is related to persistence and can actually be used to persist data, sort of: Content Providers. Content Providers are able to store and retrieve data from other applications. 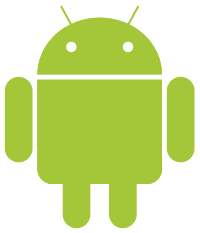 Android comes with a number of built in Content Providers for common data types such as audio, video, images, contacts, calendar (as of 4.0), and more. In addition, you can create your own Content Providers. That’s a bit beyond what we’ll cover today but it is something I may cover in the future. Today we’ll start by looking at the Contacts Content Provider but we’ll also show some examples of using another provider at the end. You can download the sample code we’re starting with today here. When you’re done, tap Done to save the contact. 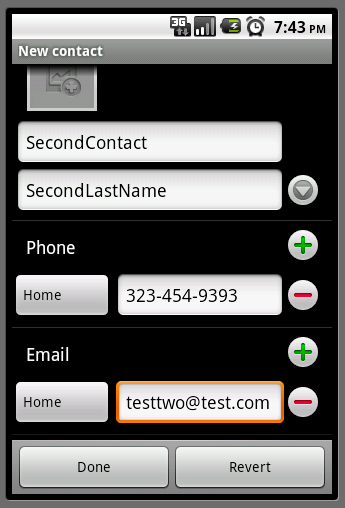 Create at least two contacts before proceeding. Note that after you hit Done, you may not see your contacts on the emulator. If you’re not, tap Menu and choose Display Options. Then at the bottom under Choose contacts to display, expand your account and ensure All Accounts is checked. java.lang.SecurityException: Permission Denial: reading com.android. Your projection array is created using constants also exposed by the ContactsContract provider like the CONTENT_URI. Conversely if you wanted them in reverse order, so the contact that hasn’t been contacted in the longest time was first, you would change DESC to ASC. This is actually relatively complicated and I won’t go through each line. The important part though is that you’re calling newInsert and you’re setting the display name to “New Contact Name”. Then you’re calling applyBatch to execute all of the operations you’ve added to the ContentProviderOperation. Note the 6 at the end which is the ID of your new contact (in your case it might not be 6 but a different integer). 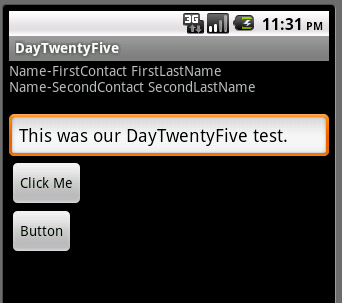 If you hit the first button again, you should see your new contact’s name added to the list of contacts. If you hit the second button again you’d get a different ID returned. I believe that Android is inserting multiple contacts but treats them as the same person since they all have the same name and no differentiating details (i.e. different phone numbers, addresses, etc). Here you’re doing the same thing with the ACCOUNT except it’s a call to newUpdate and then calling newUpdate on your contact. New this time those is the call to withSelection. This call specifies what the update selection criteria is. Notice that you’re using the newContactId that you retrieved earlier after the insert. Deleting raw contacts seems to be a bit more difficult (as I haven’t figured it out yet). If I do get it figured out I’ll update it here. If you happen to read this and know the correct way to delete a raw contact, let me know and I’ll add it and credit you with figuring it out.